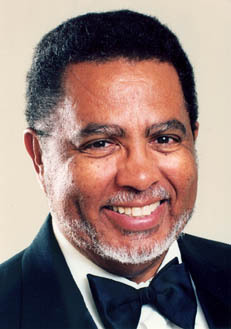 ADOLPHUS HAILSTORK received his doctorate in composition from Michigan State University, where he was a student of H. Owen Reed. He previously studied at Manhattan School of Music under Vittorio Giannini and David Diamond, at the American Institute at Fontainebleau with Nadia Boulanger, and at Howard University with Mark Fax. Dr. Hailstork has written numerous works for chorus, solo voice, various chamber ensembles, band, and orchestra. Among his compositions are Celebration which has been recorded by the Detroit Symphony; Out Of The Depths which won the 1977 Belwin-Mills Max Winkler Award presented by the Band Directors National Association; AMERICAN GUERNICA which received first prize in the Virginia College Band Directors’ 1983 national contest; and the major choral works I Will Lift Up Mine Eyes, the tryptich SONGS OF ISAIAH and Done Made My Vow which are regularly performed by choruses and orchestras around the country. During the 1980s the Boys Choir of Harlem and the piano duo Delphin and Romaine added music by Hailstork to their repertoire. 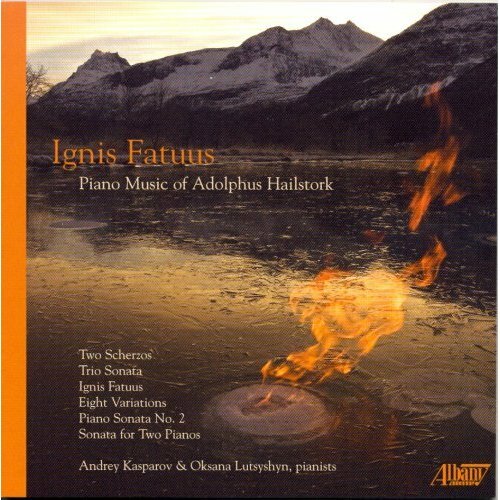 Hailstork’s music is frequenty performed by major orchestras including the Philadelphia Orchestra, New York Philharmonic, and many other leading ensembles. In 1990 a consortium of five orchestras commissioned a piano concerto to be premiered by Leon Bates. Less than a year later, Dr. Hailstork received an award from the Barlow Endowment for Music commissioning a work for the Baltimore Symphony; in 1991 Celebration was performed by the Chicago Symphony led by Maestro Daniel Barenboim. Dr. Hailstork is Professor of Music and Eminent Scholar at Old Dominion University in Norfolk, Virginia. His choral, instrumental, and orchestra music is in the catalogs of many publishers, with most works available through Theodore Presser Company.